I am a shoe-eating monster. No matter how awesome they are, they tend to bite the dust after just a couple years. What’s the deal? Is this happening to anyone else? Well, it turns out, that there are a few very simple tips to make sure your shoes last much longer. Some of these will require you to spend a bit of money, but for the most part these tips are just about altering your habits. 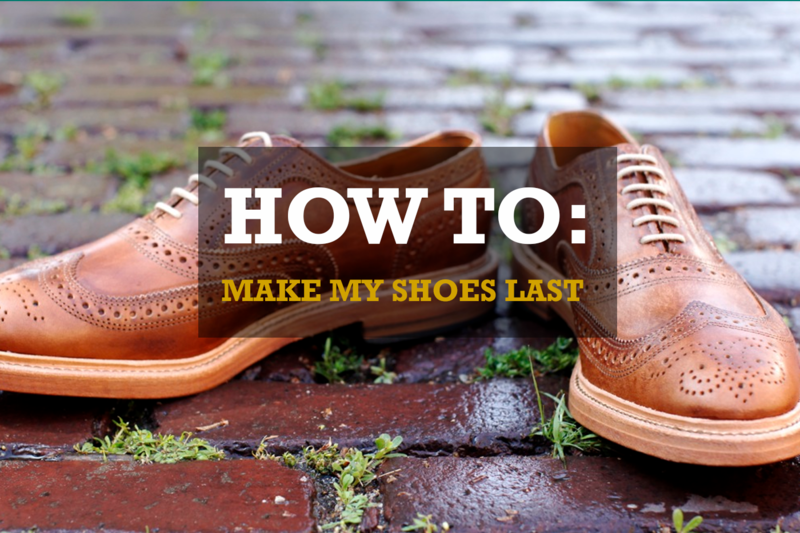 So let’s get to it, here are 5 ways to make shoes last longer. 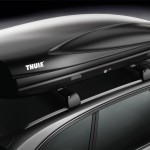 All of the products mentioned in this post will be linked to below if you’re interested. This is actually the number one reason why people’s shoes don’t last. Even if you buy a $400 pair of leather boots, those WILL wear out surprisingly fast. Walking around in shoes is simply a destructive activity. So the absolute best way to make sure your shoes last is to buy several pairs. By having multiple pairs, you can give each pair a rest and therefore prolong its life. Even people who are proponents of “Buy it for life” BIFL lifestyles will agree that people should always have multiple pairs of shoes. 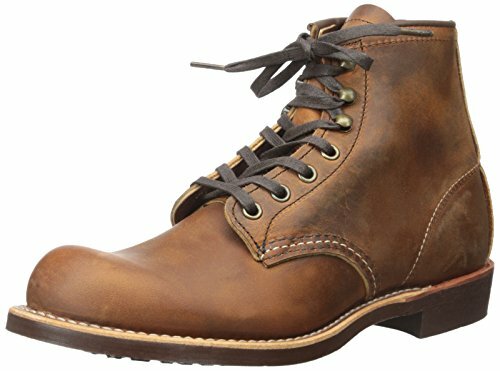 So it you have a favorite pair of Red Wing boots, maybe consider buying another pair of White’s Boots or something similar to give both some variety to your wardrobe and to give the Red Wings a rest. With shoes, this is a great idea because you can buy a different style or color to match with different outfits. Check out our article on how to wear men’s boots here for some tips. When you wear shoes or boots all day you bring a lot of moisture into the shoe. And with moisture comes rot, odor and a host of other problems. Leather shoes can become misshapen and the leather upper can actually crack. 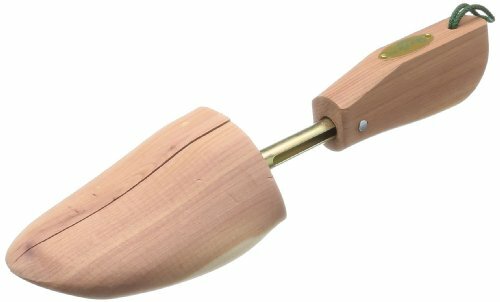 Shoe trees are basically expandable pieces of wood that slide into the shoe when it isn’t being worn (see above). It’s important to let shoes rest and to spring back to their original shape after being worn, and shoe trees do this. They also can help with odour. The best shoe trees are made of cedar due to its superior drying and odor removing properties. If you invest in some decent shoes or boots make sure you have some shoe trees at your disposal. You can get a very decent set of shoe tress for about $20 but they can range to over $200 if you want the best of the best. While you’re at it, a shoe horn can make sure that you aren’t destroying the heel of your shoe. This $5 item can go to a long way to retain the nice shape of your shoes for years to come. 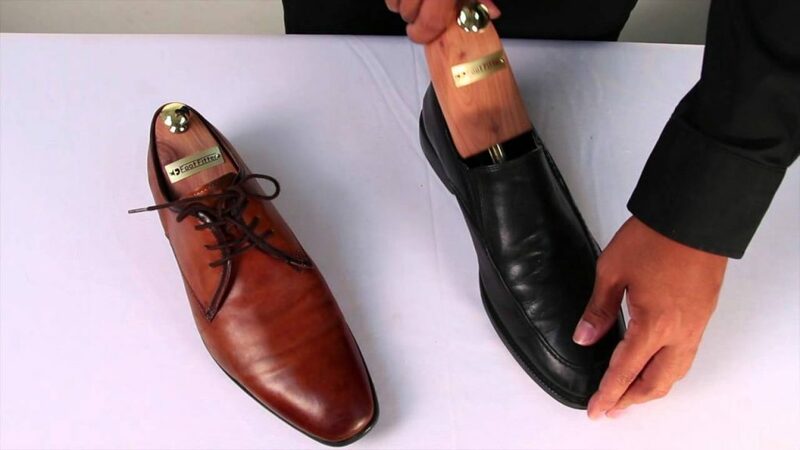 Here is someone inserting a typical cedar shoe tree into a shoe to reduce odor and retain the shoe’s shape. The best shoes, especially leather shoes, are ones that can be repaired. With cheap sneakers it is normal to just chuck them in the garbage when they are worn out. But with a decent pair of leather shoes you should be able to take them to a cobbler and repair everything from a broken or worn-down sole to damaged uppers. But this means that you need to buy a decent pair of shoes to begin with. White’s Boots are some of the most repairable in the world and they pride themselves on this. So when a part of your shoe is worn down, this isn’t the end of it’s life! It can be brought back! Shoes need to be in a cool place out of the sun. Sunlight can cause unwanted aging and color-degradation. Also, make sure that you organize your shoes in a way that makes sure they aren’t being scuffed or unnecessarily damaged in the closet. Scuffs and bumps can kill the aesthetic on a shoe and make you want to just buy a new pair. So make sure you are storing your shoes properly! Dirty shoes can degrade much faster than ones that are kept in good condition. 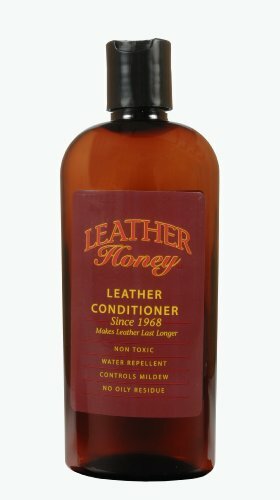 For leather shoes this means conditioning them with leather conditioner or oil. For runners it means cleaning off any caked on dirt or mud before it starts permanently discoloring the fabric. Scotch guard any outdoor fitness shoes to protect against the elements. It may seem like a pain, but regular shoe maintenance will keep your shoes looking good and will make sure that you aren’t just tossing them away after a year or two. Bonus: Buy a damn good pair of shoes to begin with! Let’s admit it: A $60 pair of shoes is not going to last. Period. 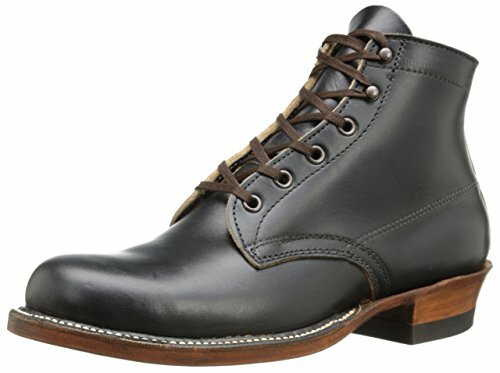 Put in the extra cash up front and buy something that is made with quality materials and using proper shoe construction techniques like Goodyear Welts. Some of the best men’s boots will show you what to look for in a boot or shoe that will truly last. Check out our post on the top 10 best men’s boots. If you’re interested in anything mentioned in this post we have rounded them up for you below for easy viewing. So get out there and get some decent shoes (several pairs) and take care of them!